Since the typhoon “Hato” last year, the Macau International Airport (MIA) has comprehensively improved the ability of various facilities to responding to emergencies, including the addition of three sets of backup emergency generator system to ensure uninterrupted power supply to important equipments at the airport. Acceptance inspection has been completed and the system is officially put into use. MIA relies on three power stations built at different locations in the airport to supply critical equipments, including Airport Control Tower, Main Fire Station, Runway and Taxiway Bridge Airfield Ground Lighting (AGL), Automated Weather Observing System (AWOS), Instrument Landing System (ILS) and Doppler VHF Omnidirectional Range / Distance Measuring Instrument (DVOR/DME), etc. All three power stations are equipped with emergency generator systems separately. Therefore, during the power outage of the “Kato” last year, the airport can still rely on its own generator system to provide uninterrupted power supply to important equipment. 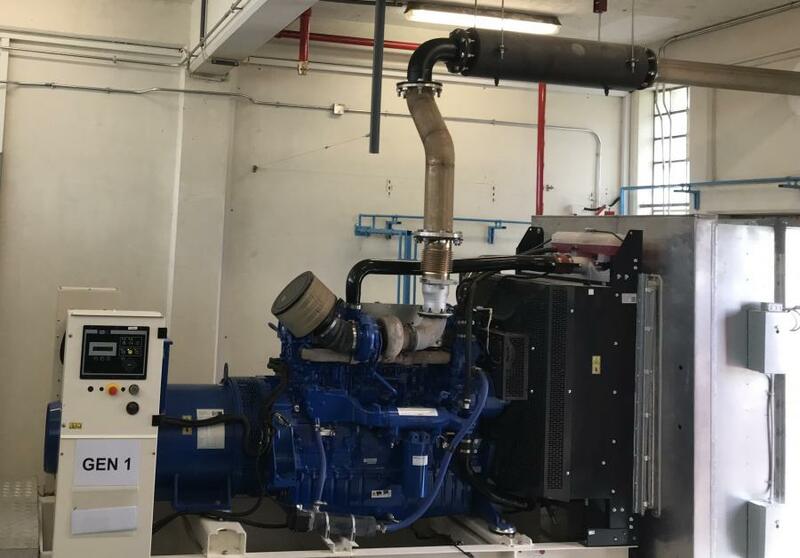 In order to further improve the emergency response capability of the airport and provide the second-level backup generator power supply for the important equipments of the airport, Macau International Airport Company Limited (CAM) launched a new backup emergency generator system project at the end of last year. Three sets of existing emergency generators have been added to Six sets so that they can alternately back up each other. Once there is a problem with the power supply, it will be powered by three sets of emergency generators accordingly with three more other sets standby for the second-level backup. Relevant projects acceptance by the government has been completed and put into service recently. The project meets the requirements of the International Civil Aviation Organization (ICAO) for Aerodromes and Aeronautical Communications, which is designed in accordance with relevant engineering regulations in Macau. In response to a sudden power supply accident, each generator set can automatically start and load power within 15 seconds, and the new failsafe backup function enables the new and old units to complete the alternating load in a short time. The diesel cylinder capacity of the generator system can supply 72 hours of uninterrupted power supply, greatly improves the efficiency, ensuring the stability and strengthening the continuous capability of the emergency power supply.